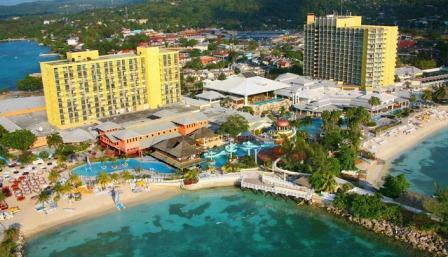 Escape to the all-inclusive splendour of the 730-room Hotel Moon Palace Jamaica in Ocho Rios with its variety of new amenities, excellent dining options, spa and stellar location. A beautiful white-sand beach fringes the resort while five lavish pools meander through this beachside complex, featuring waterfalls, plunge pools, Jacuzzis, swaying rope bridge and swim-up bars. 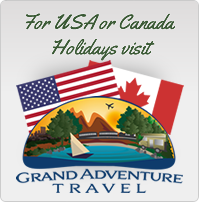 This is a great choice for TravelLab guests who are travelling to Jamaica for the first time. 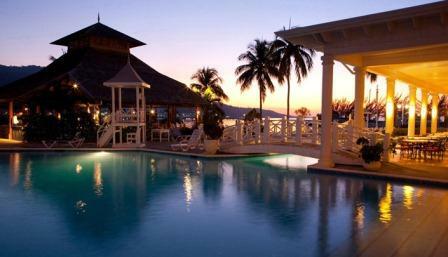 Set on a stunning beachfront location in the town of Ocho Rios, with shopping and entertainment on your doorstep, friendly staff and a great choice of dining options, this is a great hotel for first time visitors. 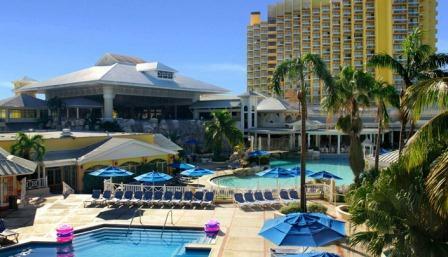 Transfer time from Montego Bay airport is 1 hour 45 min. Transfer times from Kingston airport are longer. Resort view rooms have one king bed or two double beds, bath, shower, air conditioning, TV, iron, safe and balcony overlooking the resort of Ocho Rios and are located in both the north and south towers. Ocean view rooms overlook the hillside with partial ocean views from the balcony. 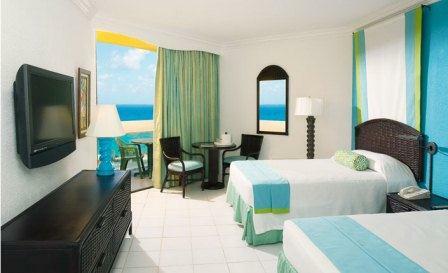 Ocean front rooms have balconies and are located on the beach front of both towers. Cabana Wing, South Point beachfront location. One bedroom suites are corner suites located in the South Pointe tower. Each suite has a master bedroom with a king size bed, full bathroom and balcony, separate sitting room with full size sleeper sofa, full bath, balcony and beachfront views. 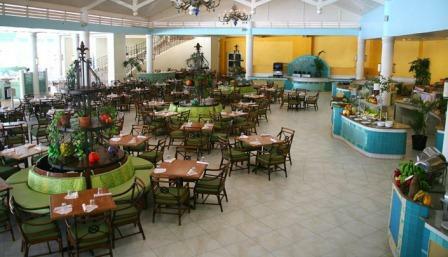 A buffet style, open-air restaurant overlooking the fantasy pool’s meandering river and waterfalls, or the sparkling Caribbean Sea. Savour Asian favourites infused with Caribbean flavour at Ginger Lily. This is one of their a-la-carte restaurants, so it would be requested that you wear smart clothing. 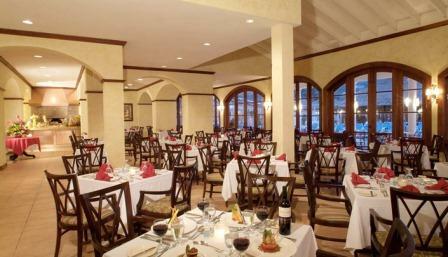 Featuring regional pasta dishes, fresh seafood and focaccia from a wood-burning brick oven. Inspired Caribbean/New American fusion dishes are on offer in a lovely al fresco atmosphere. Reservations will be required for this restaurant.